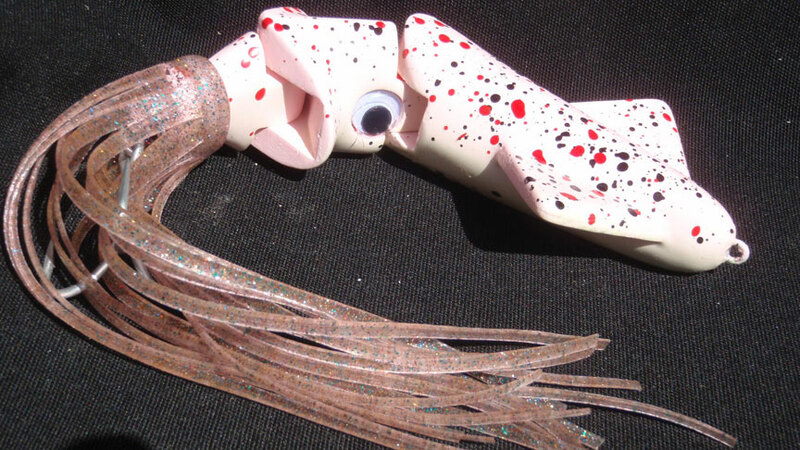 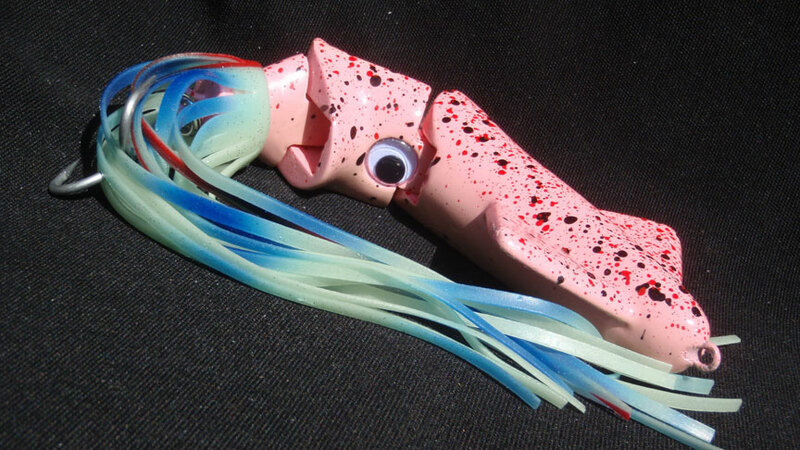 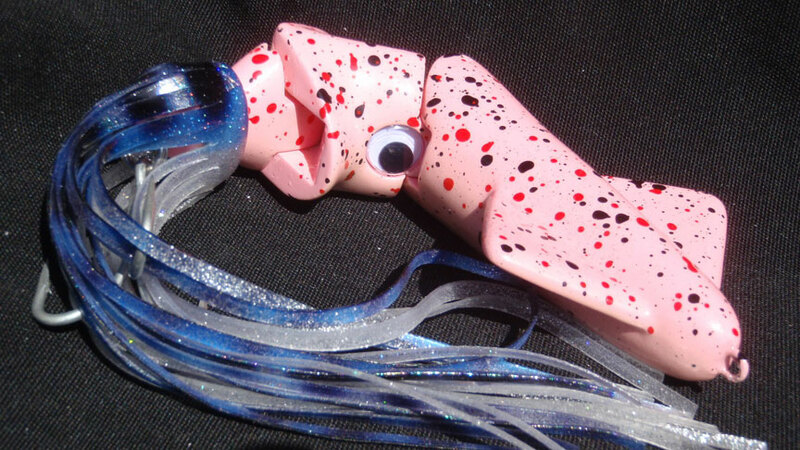 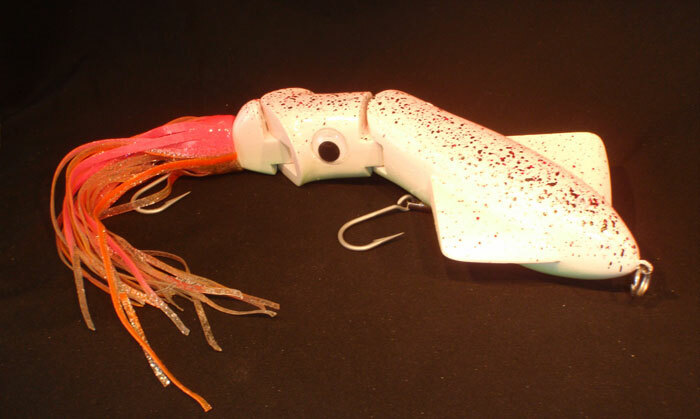 Holy Squid is a 3 piece two hinge swim bait that replicates a squid. 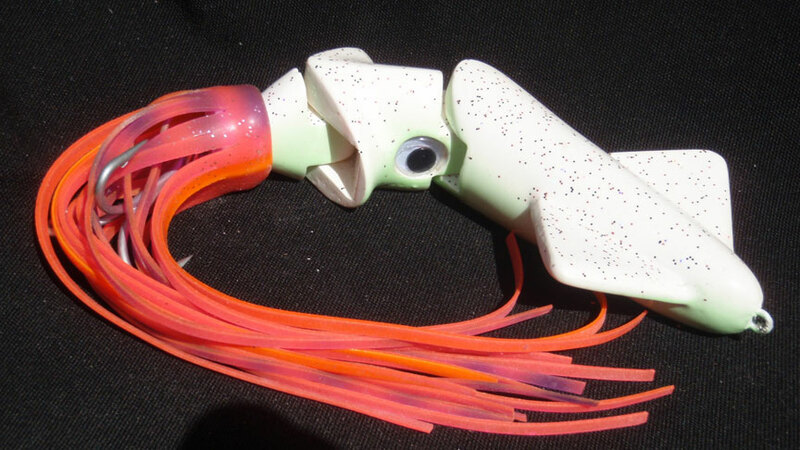 Cast or troll range is 4-10 knots. 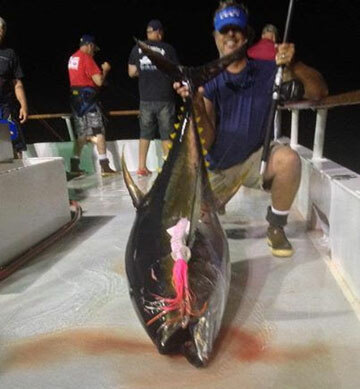 Deadly for tuna on the slide. 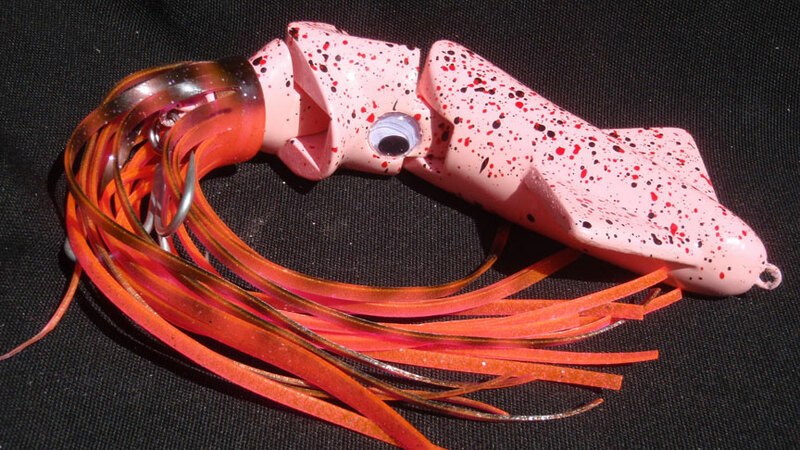 Place an egg sinker before the knot and go deep for Rockfish. 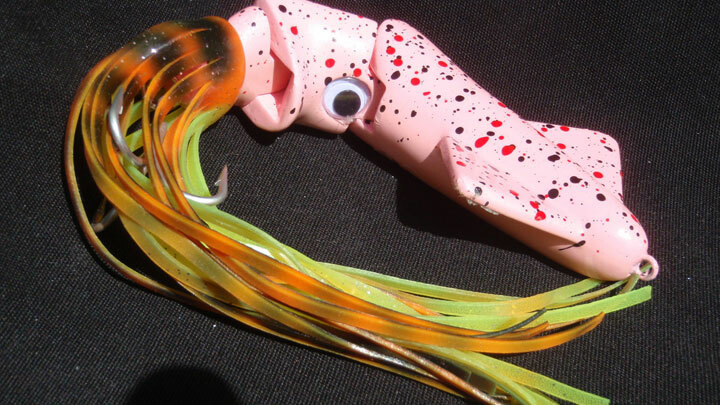 Yellows and Calico's can't resist. 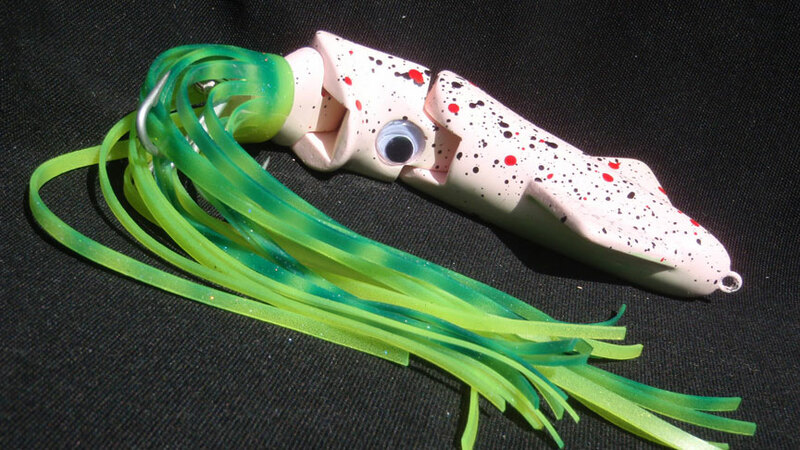 It's durable bowling ball tough and swims just like the reel thing. 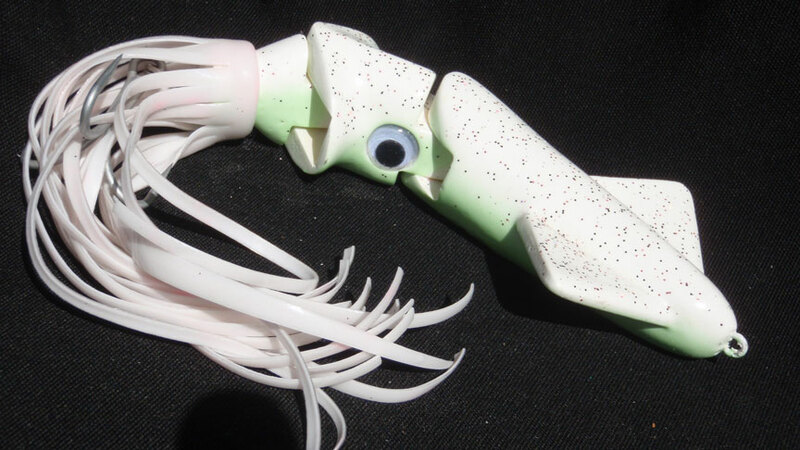 Glow in the dark on the bottom makes it a killer Sea bass bait. 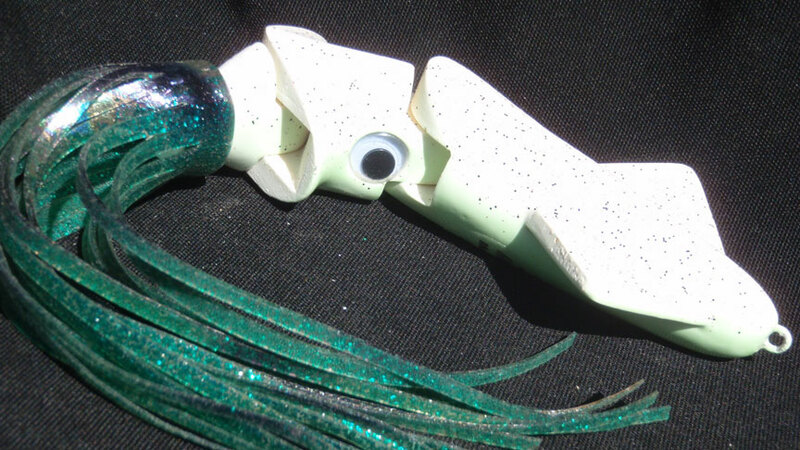 All stainless steel hardware make this a great jig alternative to bait. 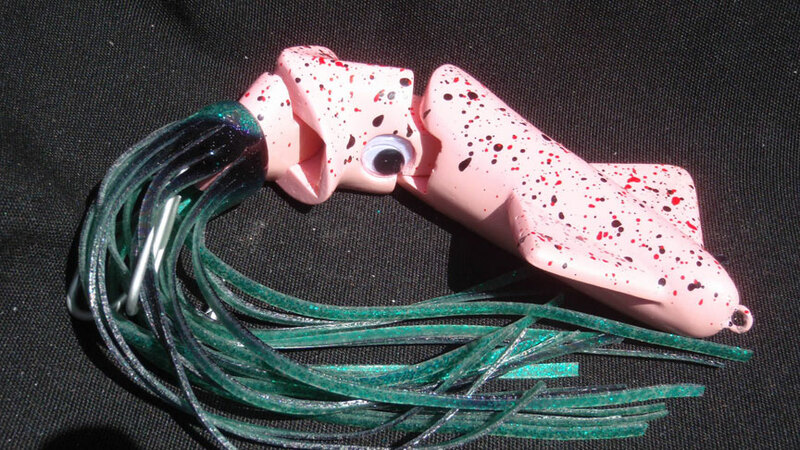 We Swim Every Holy Squid Before You Buy It - AND THAT'S THE TRUTH! 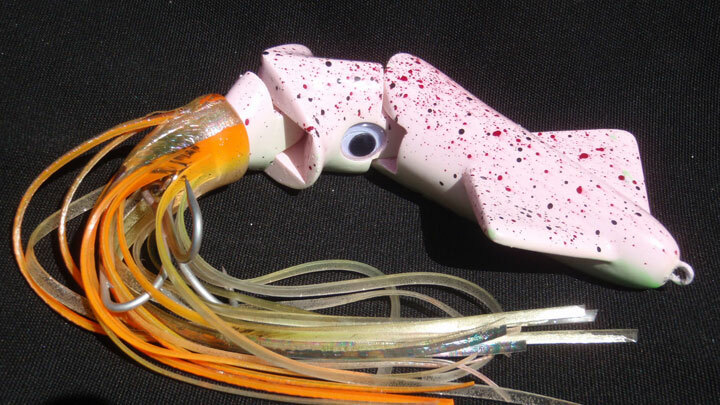 Holy Squid's are 100% hand made in the good ole USA & are fully guaranteed to be free of defects for 90 days from date of purchase. 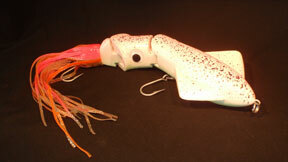 Priced lower than the current swim bait market, Holy Squid's affordable to the pro and avid angler. 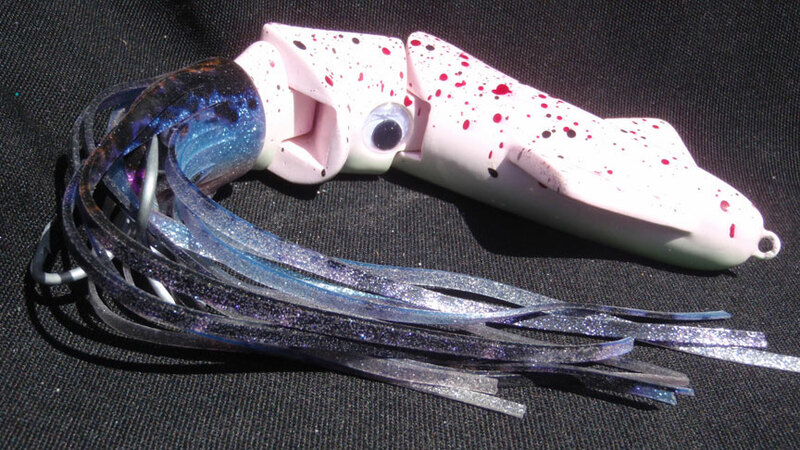 Mix and match with Holy Mackerel Jr!